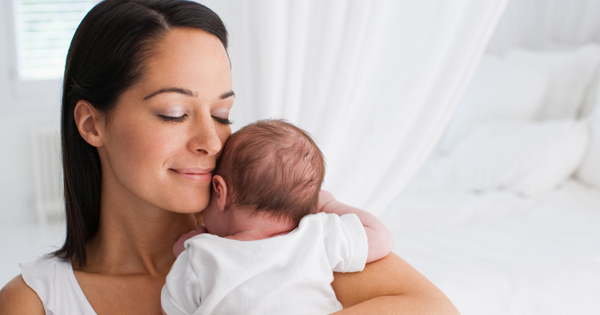 A mother can pass down a lot of physical traits to her child, such as her smile, eye color, or the shape of her nose. According to new research, she may also be passing along something not as obvious – a vulnerability for developing heart disease. A Dutch study published in the Journal of the American Heart Association found that cardiovascular risks track from mother to child, regardless of whether the mom had health complications during her pregnancy or was exposed to environmental factors after it. The study looked at 5 624 mothers, who on average were about 30 years old at the start of their pregnancy, and the children they delivered. Researchers measured numerous cardiovascular characteristics of each pair, including blood pressure and the size of specific parts of the heart. They also examined body mass index and arterial stiffness, which is the loss of elasticity in arteries and can be considered a sign of vascular disease. Characteristics were measured six years after pregnancy, and then again three years later. Researchers found that mothers who had adverse risk factors for cardiovascular disease at each of those points were likely to have children with similar qualities. The findings remained the same even after accounting for mothers who developed preeclampsia during pregnancy, gave birth prematurely or whose babies were born smaller than usual. About 15% of the mothers in the study had these or other pregnancy complications, which research has found leave children more susceptible to developing heart-related conditions later in life. The study also adjusted for homes where environmental factors such as exposure to tobacco smoke may have played a role. “Even after those adjustments, the results did not change. We found children are more at risk of having worse cardiovascular risk profiles if their mothers also had worse cardiovascular risk profiles,” said Dr Laura Benschop, lead author of the study and a researcher at the Erasmus Medical Center in the Netherlands. The study did not provide a specific reason for the link beyond genetic inheritance but said “unraveling these mechanisms” could help doctors and other health care workers identify children who are at risk for cardiovascular disease and could benefit from early intervention. “We’re not saying that all of a sudden these children should go to a doctor, but it’s good to at least be aware that they are more at risk when their mothers have worse cardiovascular risk profiles and that it would be good for doctors to start giving them advice,” Benschop said. The study sends a message about the importance of taking preventive actions early in life, said Dr Nieca Goldberg, a cardiologist and the medical director of the Joan H. Tisch Center for Women’s Health at New York University. “This study sends an even stronger message to women who are having babies that they do need to be concerned about their heart health, because it may impact the health of their children,” she said. While genetics may help determine whether children will be at risk for developing heart problems, parents can still play a key role in keeping those problems under control through choices they make about diet and physical activity.